You are here: Home / The Best Gemstones for the Day of Love! With Valentine’s Day right around the corner, you may be unsure of what to buy your significant other. 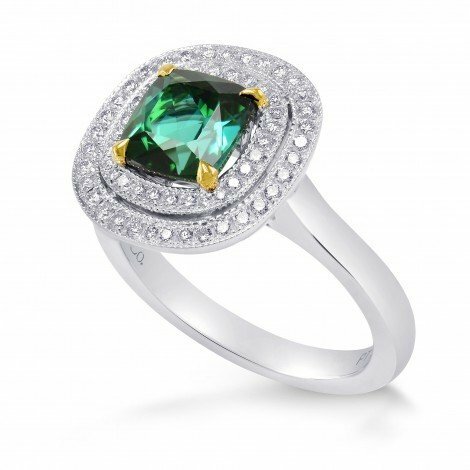 What is more timeless and classy than gemstones? These beautiful gifts have been a symbol of love for centuries. Both shimmering and simple, they can be easily customized to fit the needs of the one that you love the most. But which are best on this day of love? This lovely pink stone is often called the ‘love stone.’ It is known to symbolize unconditional love, joy, and warmth. For those that believe in the power of gemstones, rose quartz is known to ignite passion. 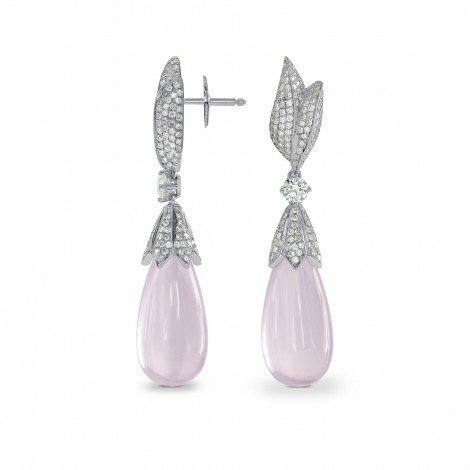 Choose a pair of rose quartz drop earrings to celebrate the passion of your love. Traditionally worn by women for centuries, moonstone is ideal for those couples in the process of growing their families. It is said to speed up the process of bringing children into the world and its presence is often said to promote healing. For the mother-to-be in your life, choose a black or ruby moonstone ring. If you have a more traditional soul when it comes to gift gems this Valentine’s Day, you may want to choose something with a red tinge to it to celebrate the passion of love. From a light, sweet pink ruby to the deepest mauve, a ruby is second only the gorgeous and versatile diamond. It often symbolizes love and the type of powerful energy that arises on the day of love. If your loved one is in more than traditional colors and gemstones, make sure to consider tourmaline. This unique stone comes in more colors than any other, and among the most popular choices is the red tourmaline, which is known as a rubellite. It is ideal for those who prefer their jewelry to have a more contemporary, modern feel. Another popular choice for tourmaline comes in a beautiful, natural green, and this refreshing, natural stone is beautiful in a silver ring. Of course, the beauty of giving loose gemstones is the possibility of customization. While they may be the birthstone of May, emeralds give out a positive energy – exactly what you may need this Valentine’s Day. Create a positive energy and the ability to grow and overcome, which reflects the meaning of this gemstone. If this year has given your marriage any significant trials and tribulations, the gift of loose emerald gemstones may be just what you need to heal and overcome the negative. Remember, you do not have to choose a gemstone that speaks specifically for the messenger of love. Choose loose gemstones or a classic diamond ring, as long as you know that your spouse will love this beautiful gift on Valentine’s Day. Whichever gem you choose for your loved one, make sure that it is chosen with not only care but also quality. A beautiful gemstone is nothing if it does not come from the right place. This Valentine’s Day, keep meaning and individuality in mind when you choose the ideal gift for the one you love. Previous Post: « 6 Tips for Enhancing Your Entryway! I love to gift gems to myself!